The Rebel Sweetheart. 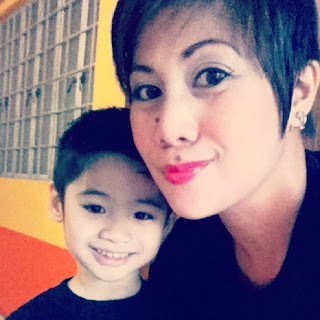 : Spazz Saturday #5 | Happy Chuseok! 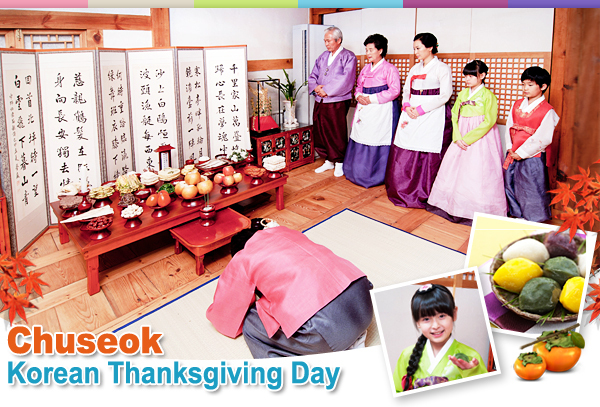 Today, the festivities begin in Korea as the country celebrates Chuseok, (추석) the Korean Thanksgiving Day. For Koreans, this is the biggest and most important holiday of the year as family members reunite and get-together to share food and give thanks to their ancestors for the abundant harvest. This year, Chuseok falls on a Sunday, September 30. However, the event is celebrated for three days, beginning today, September 29 all the way until Monday, October 1. During this period, Koreans usually travel back to their respective hometowns to spend time with their families, hold memorial services for their departed loved ones, and visit ancestral graves. A common sight during Chuseok are Hanbok, or traditional Korean clothes as pictured above. If you're into period dramas like me (think Arang and the Magistrate, The Princess Man, and The Rooftop Prince), then I'm sure you're pretty familiar with these. This custom is called 'Chuseokbim', and is still practiced up to this very day. I think Hanboks are the prettiest traditional clothes. I am so enamored by them that I asked the husband to buy one for the little man. It's a good thing Hanboks are readily available at department stores these days. Originally, they are made-to-order and handcrafted by skilled tailors only. I love this glimpse into your culture. Beautiful! I learned a lot about korea's culture and their thanksgiving in your post. Feels like similar with how we celebrate Christmas. Whoops! I'm a bit late for the festivities... but still, happy thanksgiving to you and your fam!